I had another post & some Chandler Bing-style sarcastic jokes planned for today, but it just didn't feel right. Sometimes blogging is trying to find this sort of balance between the light & the heavy. I try to keep that balance on WDAC & it feels weird having two "serious" posts back to back, but it's the only thing that felt right. Because the world these past few days doesn't feel right. It has not been good or kind to us, and my heart full of blind optimism & hope for the good in people doesn't quite understand. It doesn't quite understand why we live in a world where rapists get off with six months in prison, a twenty two year old girl dies for sharing her art with the world, & lgbtq+ & people of color can die simply for existing. Trying to understand is exhausting & it can be easy to become hardened and numb. 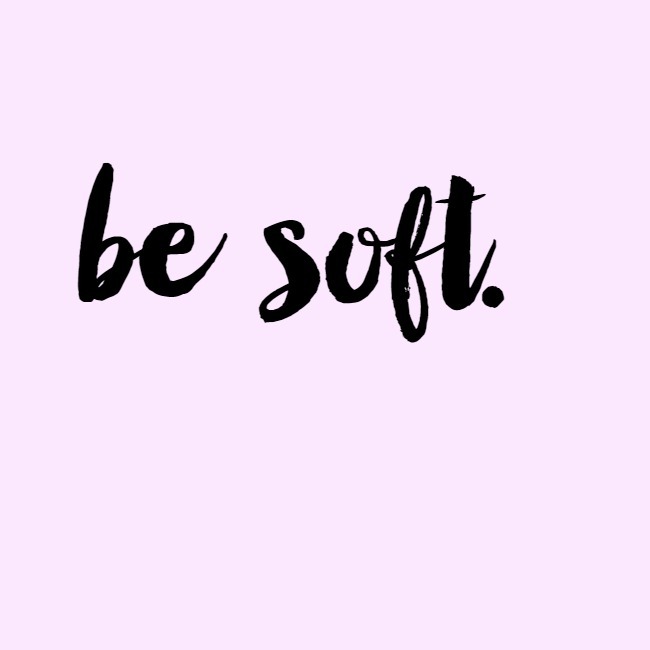 But being soft in this world is a beautiful and brave thing. I'm realizing that softness is a part of me that I don't ever want to lose. I don't want to lose the kindness and goodness that defeats the evil at the end of everything. (at least according to all the fairytales) I have to believe that the light is stronger. SO. My advice? It's okay to let your heart be heavy and to not understand, but please don't stop being soft. Don't ever let the harshness and cruelness of the world take away your light, because the light is what heals. Never be afraid of loving too hard or being too much or living too loud. You are you, & what you are is beautiful.